Hot Pots feature in Bon Appetit, Feb. 2013, pages 96-97. The spread of teapots in the February 2013 issue of Bon Appetit is enviable. My teapot collection needs a design and numeric infusion! Lucky for me, two of my favorites are relatively affordable: the red Oiva by Marimekko ($87) and the glass Norm Kettle by Menu Glassware ($60). The gold-topped Magic Flute Sarastro by Rosenthal is lovely and I wouldn't mind using the grey stoneware pot by Brickett Davda for my green teas and the cast-iron Ciacapo by Covo Shop for my oolongs. I like the simplicity and versatility of the white Oiva. The small, blue and white porcelain Siirtolapuutarha bowls in the background would make an excellent tea set. 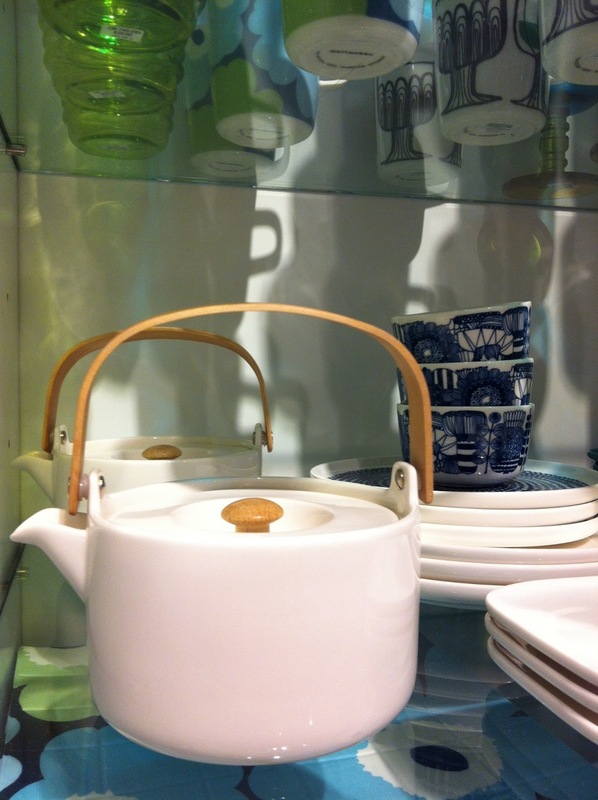 If you haven't already done so, check out Oh, How Civilized's teapot round-up. Thanks for sharing the link to my roundup! The grey stoneware one is so cute. Want!